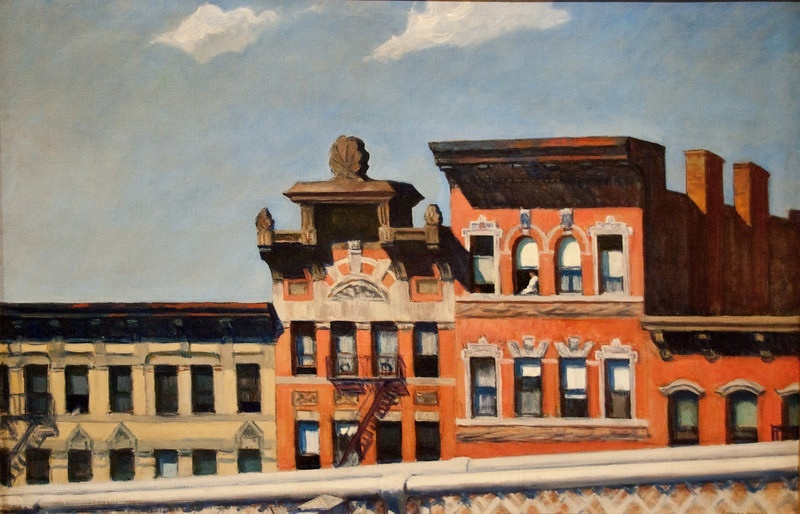 “‘From Williamsburg Bridge’ is a city scene without noise or motion,” explains a page devoted to this 1928 Edward Hopper painting on the Metropolitan Museum of Art website. It looks like the Delancey Street approach to the bridge, a row of tenement tops that may still be there today. “The light on the buildings is bright and steady, and the only person visible is a woman sitting in profile in a top-floor window,” states the Met site. 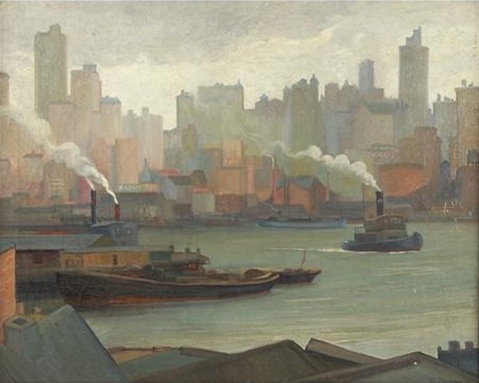 George Bellows painted many busy, emotional New York scenes in the early 20th century. “The Lone Tenement,” from 1909, depicts a raw city and its cast-off residents. 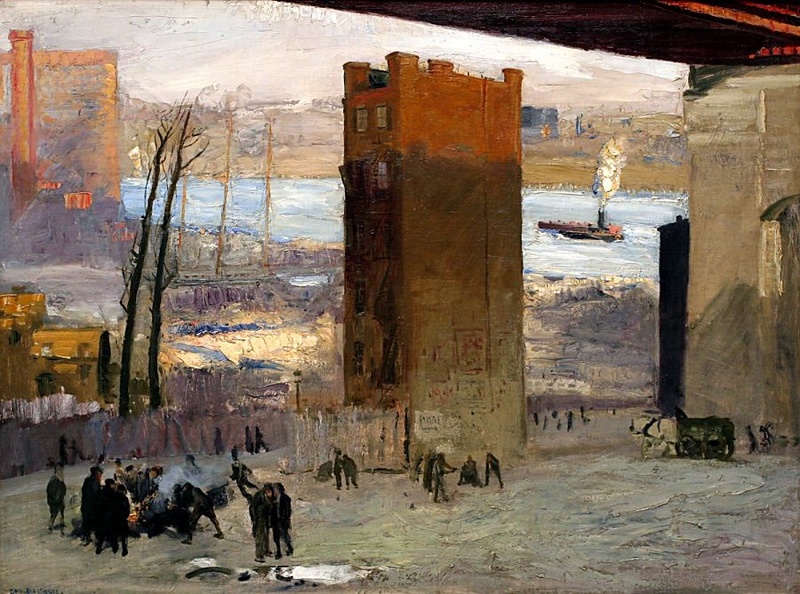 “George Bellows was a poet of the city, an artist who loved New York as much as Monet loved his garden or Bierstadt loved the Rocky Mountains,” states Artcyclopedia.com.